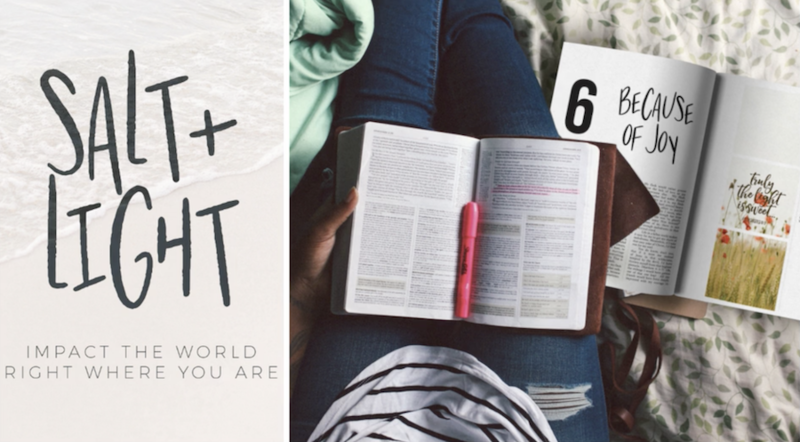 On January 4, 2017 will began our third year of offering a free study that encourages us all to dig deeper in our walk with Christ. 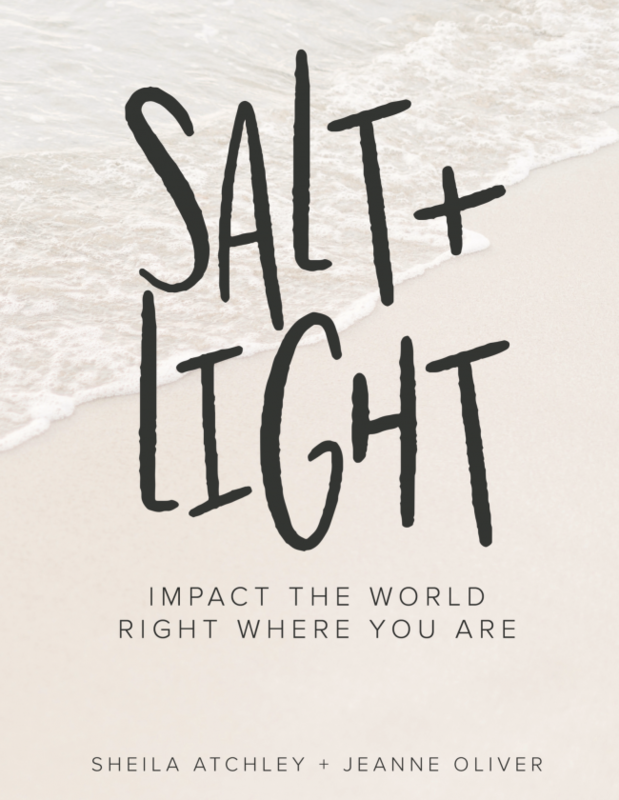 We have created a Salt + Light devotional to use along with the free video series. 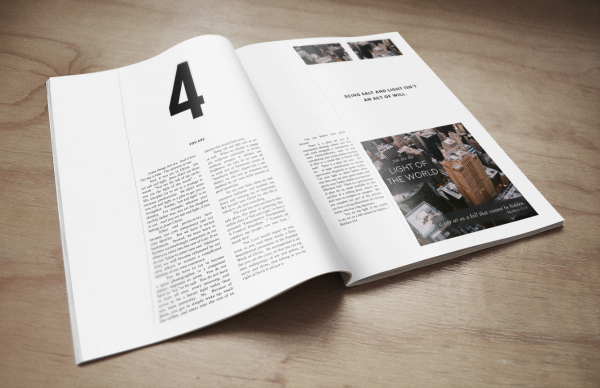 The devotion is 50+ pages filled with thought provoking lessons, gorgeous images and powerful scriptures. The devotion measures 8x 10 with high quality paper. 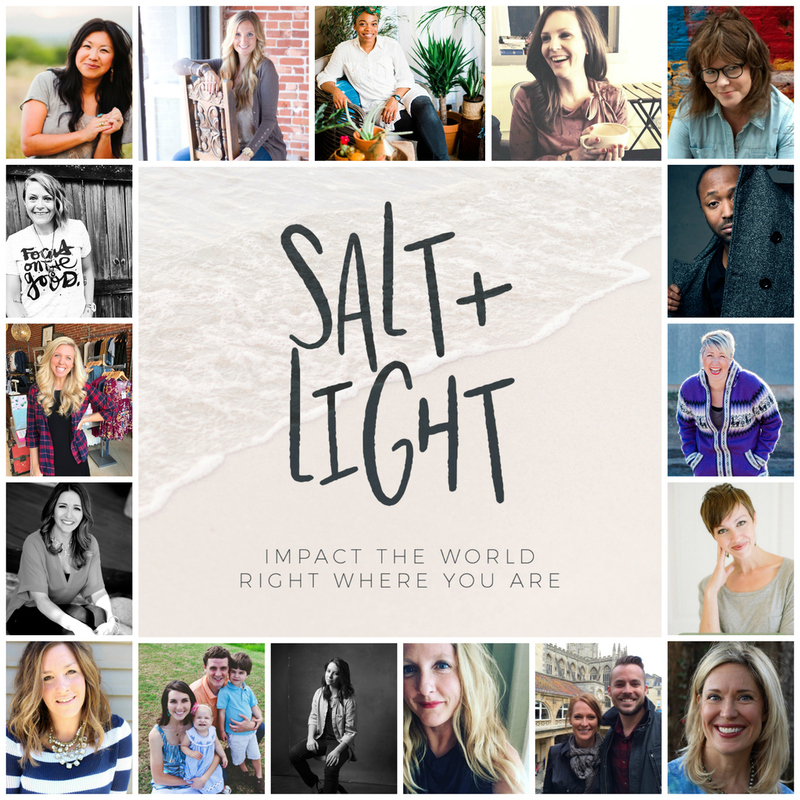 Join 18 men and women for a 4 week free online study about Salt + Light: Impact the World Right Where You Are. 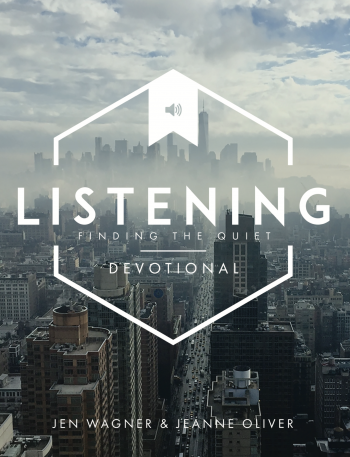 It is full of stories in how the Lord uses real people in their everyday life, using their authentic gifts to impact others. How showing up right where you are is powerful and good enough. Too often we can think that serving the Lord or others looks like a mission field in Africa. Sometimes it is. Many times it is in your town, at your job, with your neighbor, with your child’s best friend, with the stranger in the grocery store and even your own family. I’m In. I’m all in. Use what I have and who I am. Use my brokenness and imperfections. Use my gifts and strengths and open the box that I have placed around myself and You because I desire deeply to do, see and be more. Not the tired more. The filled back up more. The deepest desires of our hearts more. The reason we are here more! 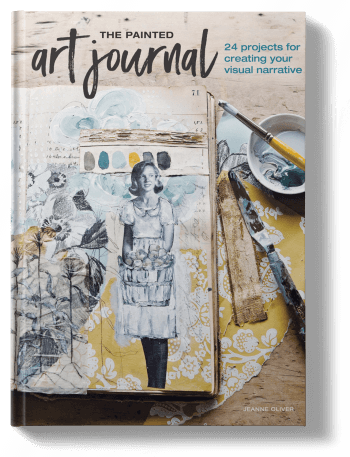 Join in on the free course here.